Apple is doing a fine job keeping shush about the tablet computer it has been working on for several years and which is due to be announced later this month in California. But just in case anyone was still in doubt about its imminent launch, France Télécom / Orange executive Stéphane Richard this morning confirmed on air that the device is to debut in the ‘next couple of days’. Richard, number two at the telecommunication services giant, told French journalist Jean-Pierre Elkabbach that the tablet would soon make its entry into the market, and that it will be equipped with a webcam (gasp!). Jean-Pierre Elkabbach: Est-ce que les usagers d’Orange en bénéficieront aussi? Richard was clearly caught off guard, and it’s always fun when such a thing happens on video. The segment, available on NowhereElse.fr, is evidently in French, but if you want to listen in on the relevant part of the chat you can skip to the 6:10 mark. Update 2: Orange PR reportedly told mocoNews.net that its owner’s deputy CEO did not confirm the Apple tablet’s existence, and that “a few comments taken out of context, then interpreted into English”. I’m a French speaker though, and there’s little confusion about what has been said during the interview, although I can’t speak for any confusion on Richard’s part. For your reference: France Télécom is one of the world’s largest telecommunication services companies. The company owns Orange Group, the fifth largest telecom operator on the planet and primarily active in Europe and Africa. 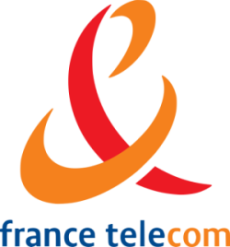 France Télécom, through its Orange subsidiary, currently offers the iPhone in some 28 countries and territories. In September 2009, Orange UK announced that it had reached an agreement with Apple to bring iPhone 3G and 3GS to Orange UK customers, bringing an end to the two-year exclusive agreement between Apple and O2. In short, it’s an Apple partner whose management would be aware of plans to bring its new tablet computer to market. Anyone still in doubt over its existence?